And that’s not even mentioning the Coke products. Mont Blanc is an Italian dessert of whipped cream and chestnuts on a meringue cake or tart. I picked up the drink without really knowing what the dessert was- I guess I never ate many chestnuts growing up in the UK. 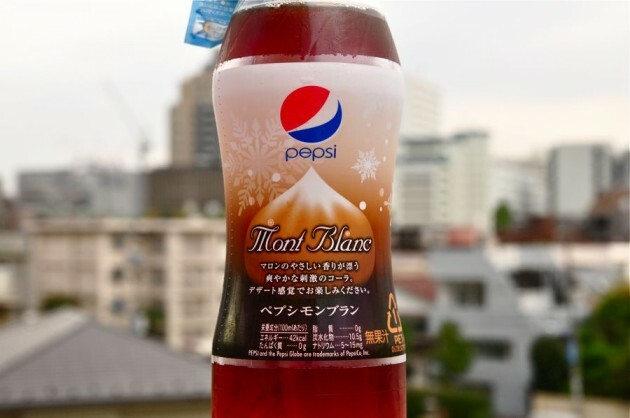 In Japan though they’re very popular, as ice cream flavors, on cakes, and now even in drinks. 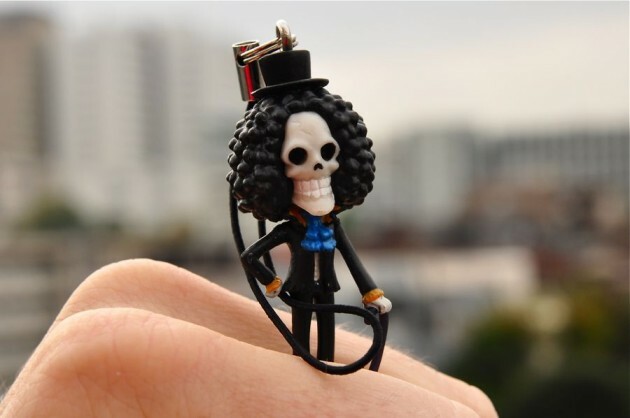 It comes free with this little One Piece character- Brook. I’m no manga fan so can’t say why he’s on the bottle now- perhaps promoting a movie or something. I’m not a huge ‘maron’ (chestnut) consumer, so can’t make such a brilliant comparison of this drink to the actual product- but I give it my best shot in the following video. I know it’s not in focus, oops, but the second take I did- which was in focus- was marred by the fact that I was annoyed for not getting it right the first time, and so I came across as quite severe. So, let’s just enjoy blurry Mike. If you liked that, check out my wacky snacks page for more of the same. 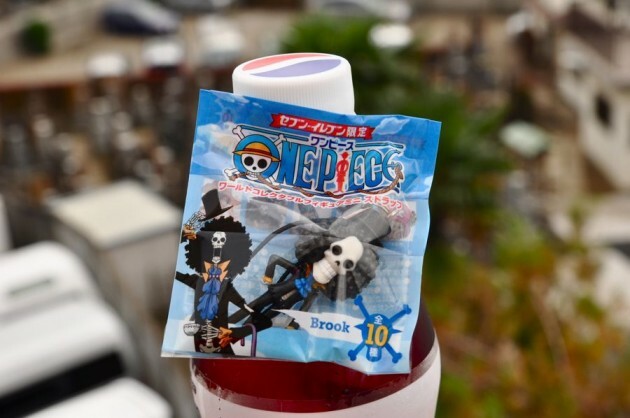 I can’t stop surfing through reviews of weird (to the western world) drinks and snacks from Japan.